When inventor, thinker, author and futurist Ray Kurweil speaks, people need to listen. Intently. The oracle spoke this week to some of the 4,000 attendees of this year’s Shop.org Summit in Boston, and if they choose not to heed his words on the disruptive nature of 3D printing, many could be out of business in the future, having been unprepared for the upheaval that lies ahead. A change is coming that is, without exaggeration, as disruptive as were the printing press, mass production and the semiconductor. In fact, if you look close enough, you’ll see the revolution has already begun. Among other things, Kurweil spoke on the significant impact that 3D printing will have on retailers and shippers, with current retail business models to be thrown out the window. It may be a bit hard to believe now, but in the future you when you order a product online, it may be not delivered by UPS or FedEx, but by email in an attached file. The email will contain a CAD/CAM file – the blueprints, essentially — for the product. You’ll simply send that file to your home 3D printer and press print. Voila! Out comes your product. If you don’t have a 3D printer, or don’t have one sufficiently powerful enough to print a particular item, then email it over to your local 3D Print Center (think Kinkos) and go pick it up. An analysis of the history of technology shows that technological change is exponential, contrary to the common-sense “intuitive linear view. So we won’t experience 100 years of progress in the 21st century — it will be more like 20,000 years of progress (at today’s rate). The “returns, such as chip speed and cost-effectiveness, also increase exponentially. There’s even exponential growth in the rate of exponential growth. Within a few decades, machine intelligence will surpass human intelligence, leading to The Singularity — technological change so rapid and profound it represents a rupture in the fabric of human history. The implications include the merger of biological and nonbiological intelligence, immortal software-based humans, and ultra-high levels of intelligence that expand outward in the universe at the speed of light. 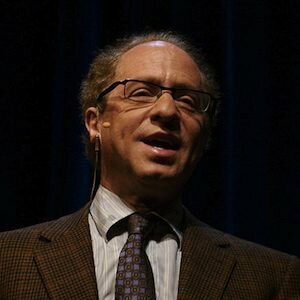 Balk if you will, dismissing Ray Kurweil as an overly imaginative and optimistic futurist. But if you take the time to study the concept, you’ll understand that the rate of growth we’re seeing now is incredibly fast compared to last decade but slow compared to the next. You cannot extrapolate technological change in a linear fashion from the past. In other words, change is coming faster than you think. The DesignJet 3D Printer. Not yet ready for your home, but check back in a few years. That said, his vision of the future that he put forth at Shop.com is actually not even that controversial to those in the field. They know that when he was not being unrealistic when told the crowd that in three years time many products that are now mass produced and shipped will instead be created one-at-a-time on a 3D printer. In fact, this is already being done on a limited scale with online 3D services like Shapeways.com. You’re probably already familiar with companies like Cafepress and Zazzle, where people design images to be placed on products such as t-shirts and mugs, and then are able to sell them from their “shops for a commission. Shapeways has a similar business model, but instead of two-dimensional printing of designs, they do three-dimensional printing of objects. Thousands of hobbyists, artists and technology buffs design their objects at home with free or inexpensive CAD/CAM software, upload the design to Shapeways, pick their material, and then have their items printed on Shapeways’ 3D printers. And then, if they wish, they can offer the product for sale to others, collecting a commission for themselves. And the cost is surprisingly low already. As the technology of 3D printers improves and the cost comes down, they will move into the home. To a minor extent, that’s already happening. Yes, they are still crude, but home 3D printers can be had now in the low thousands of dollars; even less if you build one yourself from kits. Where we’re at now feels like the old Radio Shack days of home built computers, but built upon a broader and more advanced base of supporting technology. And the biggest thing to consider is that the rate of technological development has increased so much since those days that what before took decades to advance into consumers’ hands now takes just a few years. In fact, HP is alreadt working with 3D printer manufacturer Stratsys to get reasonably priced 3D printers into the home as soon as possible. 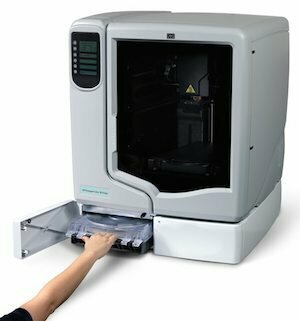 Just last week they announced new 3D scanners, which are part of the 3D replicating process for which 3D printers are often used. The evolution of brick and mortar to online stores was the retail revolution. But that was yesterday. Been there, done that. Now, get ready for the real retail revolution.